Think of Ireland with its lore of leprechauns and luck. We see fields of green, shamrocks and remember Irish blessings. 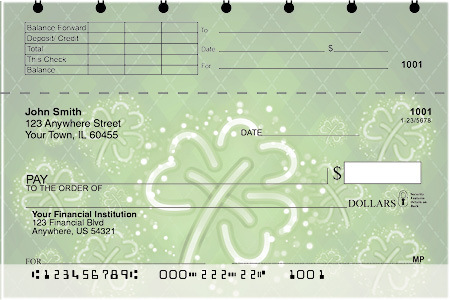 Here are some lovely Irish-themed personal checks that help you celebrate Ireland throughout the year - lucky you! 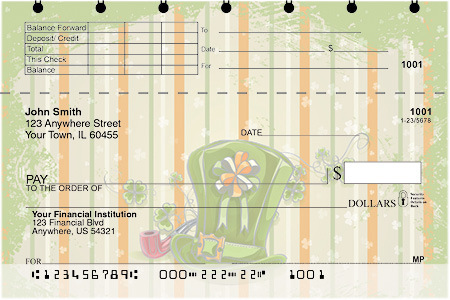 Browse the selection and click your favorite Irish checks for more info and to order. Delight in these four, fun St. Patrick's Day inspired scenes that are sure to have you feeling lucky! Everyone is Irish on St. Patty's Day! Enjoy four rotating scenes of some iconic St. Patrick's Day symbols.